One of the latest bars to join the nightlife scene in Singapore, after a most recent rush of bar openings of the bespoke cocktail kind, has turned out to be the very antithesis of them all. And ironic too, for Skinny’s Lounge is opened by one of their own… and is very well-loved by the rest. Skinny’s Lounge, located at the North Bridge Road end of Boat Quay, officially opened to the public two weeks ago to little fanfare but already sees a steady stream of industry folks drop by. Modelled as a cheeky American dive bar with local KTV influences, Skinny’s Lounge is opened by Nick Haas, previously of the Cufflink Club and Vasco, as a casual after-hours hangout most suitable for late-night revellers looking for a last drink. Which, of course, means it attracts a lot of folks working in other bars who come by after closing time. 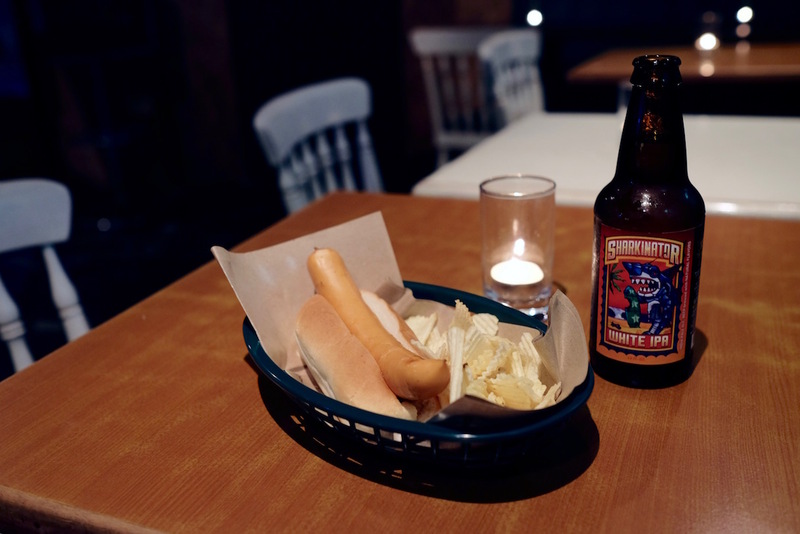 If you’re wondering about the name, the bar is named after Haas’ childhood nickname – Skinny Rabbit. “It follows the American practice of naming bars after the owner, but I didn’t want to use my actual name,” admits Haas. As for the rabbit part of the moniker, you’ll find a cartoon rendition of it on their coasters. For a most casual American dive bar, the drinks here are actually of pretty decent quality. And no wonder – Haas has put together a rather formidable bar team in Hannah Waters and Leo Chue, both previously of Proof & Company/28 Hong Kong Street. Cocktails are simple here: no complicated infusions, no barrel-aging of spirits of any kind, and definitely no complex tools such as dehydrators, centrifuges or cream whippers that previously belonged in molecular gastronomy but has crept into the repertoire of far too many self-absorbed mixologists. Yet they’ll hit the spot. For those who like it quick and dirty there’s the Paloma, a citrusy tequila-based drink topped off with soda, or the Americano, which combines Campari and sweet vermouth along with a healthy splash of soda. Similarly refreshing is the Shady Pine’s Highball, which shakes American whiskey with citrus and green apple juice. The ice-blended Daiquiri No.1 (El Floridita Style) is a Havana favourite made from Cuban rum, Maraschino liqueur and fresh lime, while those who have stronger preferences may want to opt for the Pencillin, a stirred drink made with blended Scotch whisky, zingy ginger and then sprayed with a mist of smoky peated Islay whisky. If you like your drink a little more premium, there’s an option to “Make It Nice”, which swops out standard spirits with their more artisanal brethren. Most drinks are $15 to $18, while you top up a further $3 to ‘make it nice’. There’s beer and wine too; the latter falls under the “grape juice” section and lists only red, white and bubbles so you don’t really know (in case you care) what you’re going to get; the former works out a little more transparent with bottled choices that range from Miller Genuine Draft and Brooklyn Lager, to Lost Coast’s Sharkinator IPA and Kona’s Fire Rock Pale Ale. As for grub, when the kitchen is pretty much a mere microwave oven it’s really more like what you rustle up from a quick raid at the nearest convenience store than any true gastrobar experience. Probably the best thing you can say about the steaming Philly-style 9-inch ‘Murican Hotdog is that it comes rather long and hence will fill you up when the munchies hit you at 2am. Ruffles with Sour Cream and Onion is exactly what it sounds like, straight out of a packet. But the Jumbo Soft Pretzels was a culinary surprise; soft and chewy at the same time bursting with bready sweetness in every bite, so good you won’t need the accompanying tub of artificial cheese dip. All this is what you eat in college in the middle of the night trying to rush out an assignment due the very next morning i.e. perfect American dive bar food. As for entertainment some patrons flock to the outdoor pool table, but most industry insiders pack themselves into its single sound-proof karaoke room to drunkenly belt out the latest and not-so-latest hits; after all the space that Skinny’s Lounge now occupies used to be a seedy KTV bar, so nothing much has changed except for the far better drinks today. In case you didn’t realise by now, Skinny’s Lounge won’t be the best place to bring a date, unless of course if you both happen to work in hospitality. But it is all immense fun. If there was one thing not so authentic about Skinny’s Lounge, is that so newly opened it’s not quite yet acquired the disheveled grubbiness of a proper American dive bar. To that end Nick Haas would gladly hand out florescent sharpies so you can scribble all over the walls and help Skinny’s Lounge get there. 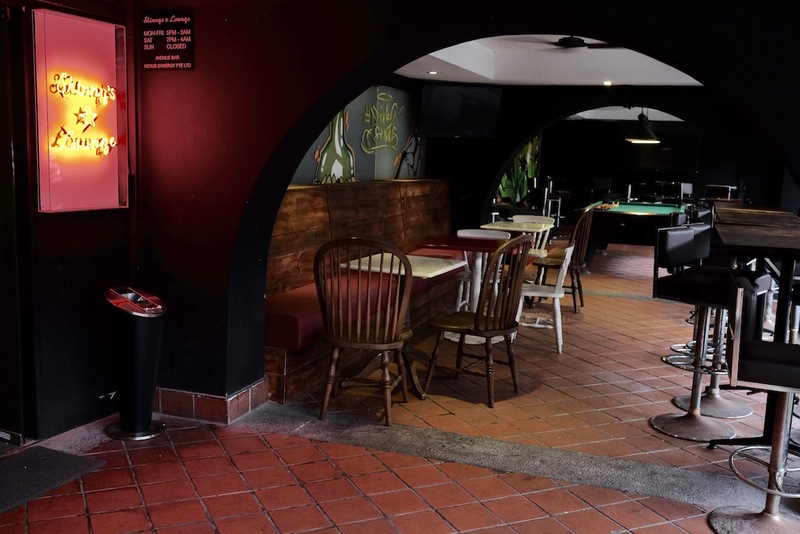 You can find Skinny’s Lounge at 82 Boat Quay.